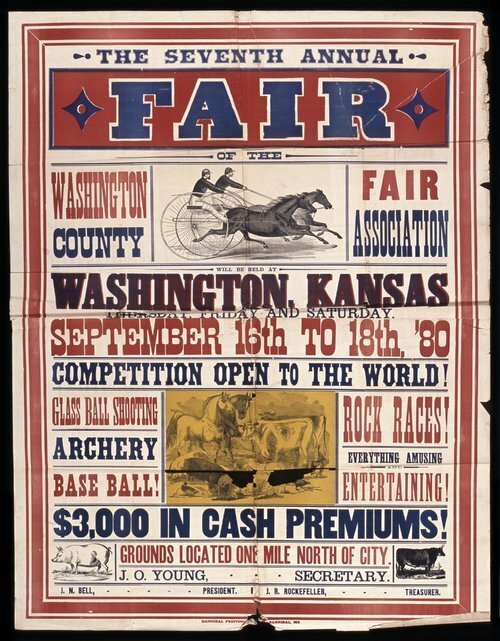 This poster announces the seventh annual fair at Washington, Kansas, sponsored by the Washington County Fair Association. Highlights of the fair include archery, base ball, racing, and $3,000 in cash premiums. The poster includes illustrations of sulky racing and livestock.